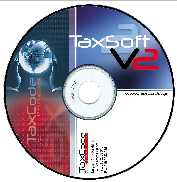 TAX SYSTEM TAXLINE PLUS WITH APPROVAL NUMBER: 15EBO407/16-12-2008 • entirely German construction. • Casing from specially treated aluminum. • Tax Capacity Memory: 2100 Z. • Ergonomic keyboard, high strength, waterproof, 12 keys with audible confirmation. • Micro-Controller NEC 32 bit. • PCB high density 4 layers. • Graphics Display HD (128x64) with Backlight • Thermal printer with speed 50mm/sec - 40 characters per line, Feed button, Power Led and Error Led • 2 ports RS 232 (1 to contact the H / H and 1 for controlling reading and memory). • Power On / Off switch • External power supply (type switching 100-240V, 50-60Hz). • Dimensions: W 25, W 11, H 4 cm. • 12-month warranty extendable.